It’s Cookie Dough Week, my friends! That’s right, edible and eggless recipes of fun and creative cookie dough recipes! My bloggy friends and I are giving you impeccable cookie dough recipes all week long! Be sure to visit all of the ever so creative recipes included in with today’s recipe down below. 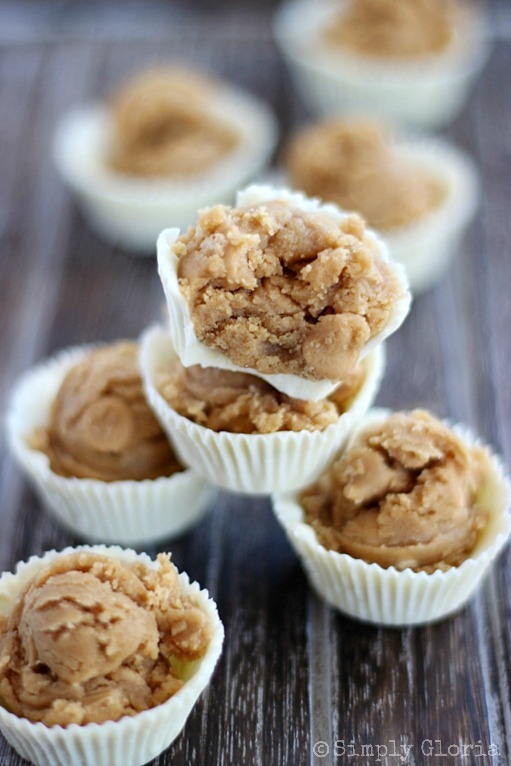 White Chocolate Peanut Butter Cookie Dough Cups are scoops of edible cookie dough without the eggs but, with all the creamy peanut butter all nestled inside of a white chocolate shell! Cookie dough has to be one of the most requested sweets in my home. No baking is involved. Bonus! I have to be honest, I’ll eat cookie dough regardless of eggs or no eggs. 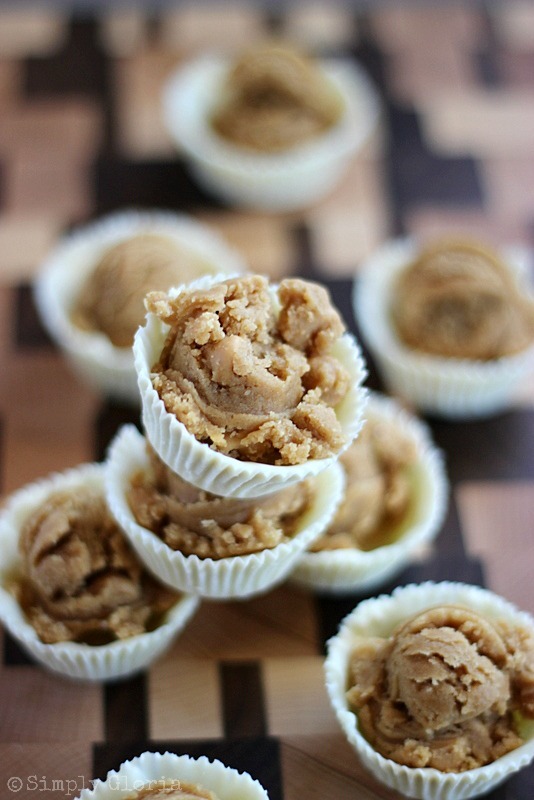 But, in this White Chocolate Peanut Butter Cookie Dough Cups recipe, it has all the taste of a precooked peanut butter cookie! One bite out of these will make you close your eyes in peanut butter and white chocolate bliss! The white chocolate is melted down and painted inside of mini baking cups. It sets really fast! 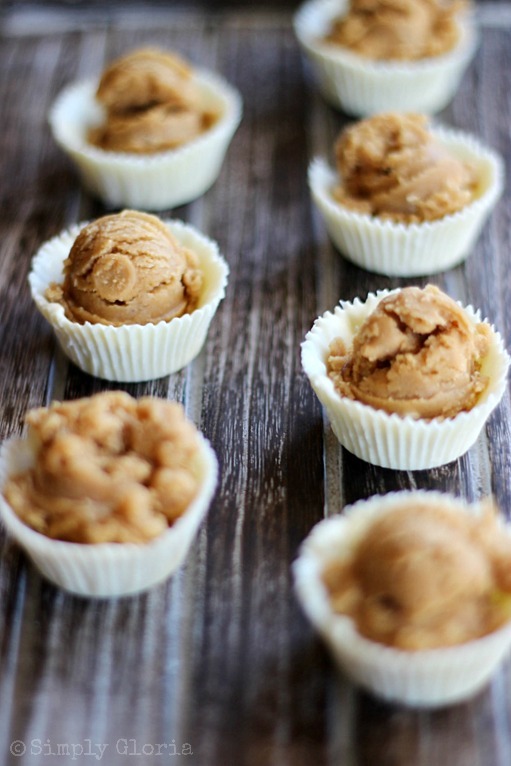 Peel away the baking cups from the white chocolate and you have a perfect little place to set your scoop of peanut butter cookie dough! Making these little bites of pleasure are a breeze! Remember, no baking is involved = Yay!! Melt white chocolate chips in a heat safe bowl. Spoon in a teaspoon and a half of melted white chocolate into the bottom of the mini baking cups. Spread the melted white chocolate up the sides with a small spoon or small pastry brush. 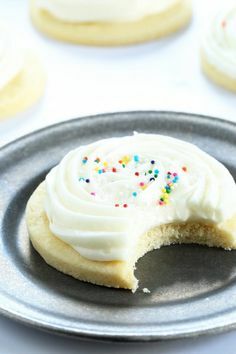 Set aside on a flat surface for the white chocolate to set up. 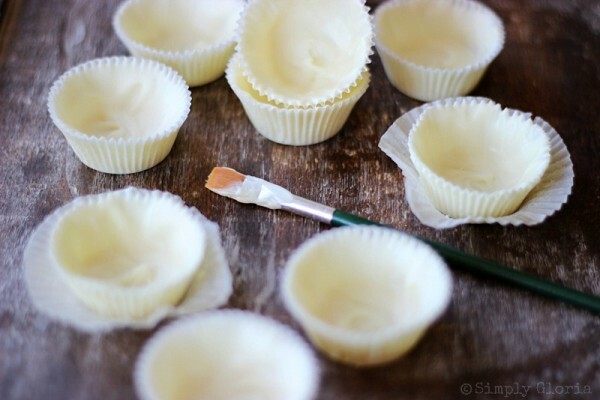 Once the white chocolate is set up, carefully peel away the baking cups. For the cookie dough, cream together butter and peanut butter in a large mixing bowl. Add brown sugar, milk, and vanilla. Slowly mix in the flour until combined. Stir in the peanut butter chips. Place a scoop of cookie dough into the unwrapped white chocolate cups. Enjoy! Cookie dough may be stored in an air tight container and refrigerated for up to a week. 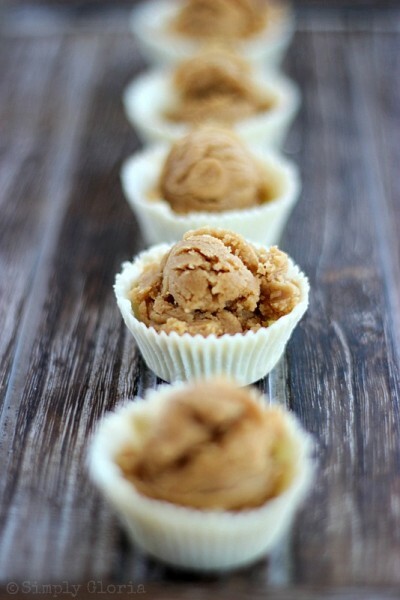 Makes 20 white chocolate peanut butter cookie dough cups. Click on each image (above) in the collage to take you to the original source and recipe OR connect with the links down below. Come back for more cookie dough recipes this week… we all have more for you! « Show Stopper Saturday Link Party, Featuring Frostings! Thank you for your brutal honesty and admitting your cookie dough addiction. I love it! Thanks so much for participating! I will be sharing throughout the week! These are SO cute Gloria! And what a fantastic idea! I love cookie dough week 🙂 Also peanut butter and white chocolate – fantastic combo. Pinned 🙂 I hope you had a great weekend! Ohhh my goodness, Gloria. WHY did you have to post something that looks so good. I’m a cookie dough whore…i’ll admit. Eggs or no eggs never seemed to stop me 😉 Haha guess I know what i’m doing later today. Probably should go to the gym today! Thanks for sharing! Have a wonderful Monday! You can’t beat a little cup full of delicious cookie dough! 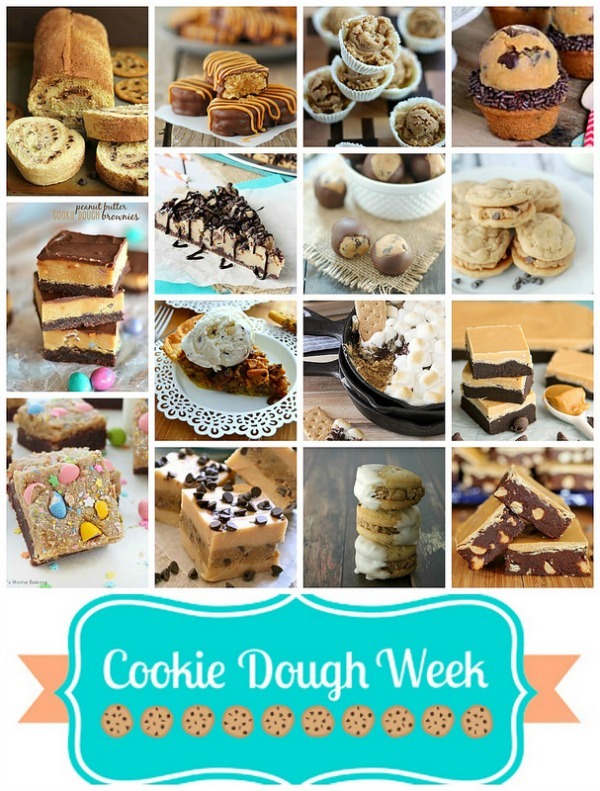 This looks so great, Gloria — I’m pretty excited about this cookie dough week! Holy cow. This is the best recipe! So simple, but SO SO FREAKING GOOD. I love how simple these are! And you got me with the white chocolate too – yum! Thank you, Lindsay! You and Julianne did such an amazing job getting all of together and getting our creative minds going! Love it! White chocolate and peanut butter are my two most favorite things!!! I almost like it more than peanut butter and chocolate! This is such a wonderful idea Gloria! Pinning! This was seriously so genius! I love the mix of white chocolate and peanut butter. So delish! They’re just little enough for us to take a lot more bites and not feel guilty about it. Thank you, Stephanie! Sarah, I noticed we were on the same cookie dough brain wave… love it!! WOW!! Those cups are the best thing ever!! AND then peanut butter cookie dough? Sweet deal!! These all sound so good! I LOVE how you painted the cups with white chocolate…that is just so cute!! It really goes by really fast, painting in the white chocolate. It’s really fun and I kept wanting to paint more… it’s so relaxing! And, I know you know what I mean! 😉 Thank, Marti! I’m going to have to give a try….it does sound fun! Baking or no baking involved, I want to make these asap! Love this idea, Gloria. The perfect treat for Easter, too! Oh hell yea, I love this idea – it makes cookie dough that much more fun to eat. Gloria these look AMAZING! And I absolutely love the recipe round-up! Oh Gloria, these look delicious, what a fun week, can’t wait to see all the cookie dough recipes! Oh wow! These cookie dough cups are beautiful. I love cookie dough (egg or no egg, I’m not scared LOL) and a white candy cup acting as a vessel for it, well that’s totally awesome!! Yay! We’re on the same no-scared-of-raw-eggful-cookie-dough team! You’re awesome, Shannon! I am loving cookie dough week so far :). 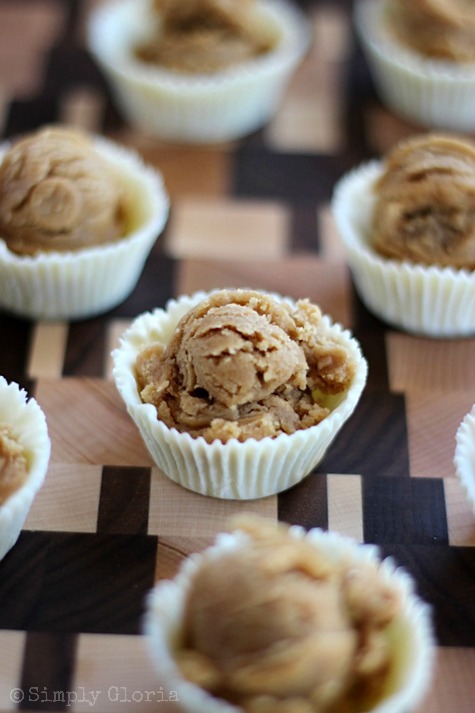 These cookie dough cups look ah-mazing. I think cookie dough and white chocolate go so well together!! 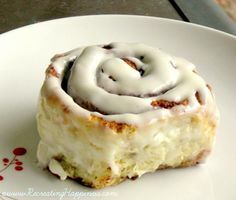 Can’t wait to make these… I need to stop drooling somehow, ha! Oh my, these sound HEAVENLY. Wow! I have the irreparable urge to go paint with white chocolate. And stuff my face with cookie dough. Love how easy this is ! Maybe too easy hehe! 😉 Pinned ! I LOVE how you made white chocolate cups. Something so cute and so simple, it’s like why didn’t I think of that?! LOL. Connie, don’t ya hate that?! LOL! It happens all the time to me, too! Oh my gosh so much cookie dough so little time! Loving all of these!!! I think I’m in heaven Gloria! So cute! PB and white chocolate together are soooo yummy! Trish – Mom On Timeout recently posted…Monster Cookie Dough Ice Cream – No Machine Needed! Yup, cookie dough is the best thing in earth to make and eat raw! Can’t wait to try this one gloria and check out all the other recipes.. love that they are eggless! Reese’s white chocolate peanut butter cups are my favorite and these are like the better version of them! Oh, how I would love to pop a few in my mouth! Roxana, those are my favorite, too! This is the best thing I’ve seen in a loooong time! Oh my gosh Gloria, you are so clever! What a fantastic idea Gloria, these are so adorable! Cookie dough with peanut butter and white chocolate = best combo ever!! 🙂 Pinning! Kelly, you’re so awesome! Thank you so much! Oh my goodness-so yummy! I’m not a huge fan of white chocolate, but I would sure use milk or dark on these. Just pinned them and thanks for sharing at Fridays Unfolded! Oh MY! These sound like decadent little cups of love!